This sign looks just like a Pizza Slice. The sign is red, yellow, white, and navy blue. 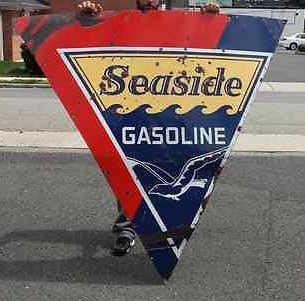 The text on this huge sign reads “Seaside Gasoline” and shows a bird under the text.